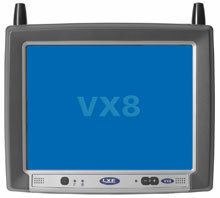 The LXE VX8 Karv computer is a rugged, wirelessly-enabled Windows XP-based mobile PC with a 10.4" touch-screen display. The compact VX8 computer is ideal for applications where users need high-performance computing in a small package. 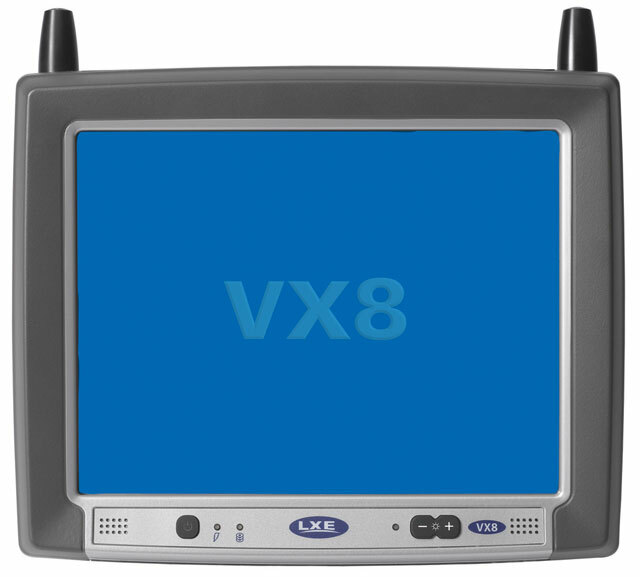 Available with WWAN, WLAN and Bluetooth radios, the VX8 computer is suitable for a range of vehicle-mounted applications in challenging deployment environments, including those on fork-lift trucks, container handling machinery, forestry and construction equipment, and emergency service vehicles. Keyboard, RAM, Mount, Plate (for the VX8/9). Non-Cancelable/Non-Returnable. The LXE VX8B7I1AFF5A0AUS is also known as HSM-VX8B7I1AFF5A0AUS	.